This refractor telescope has a lens diameter of 80 millimetres and a focal length of 400 millimetres. Two eyepieces are included. 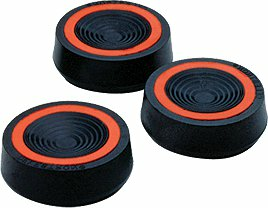 The Audio-Star system helps you find all stars and planets, as well as the astronomy software that comes with it. The telescope and all accessories fit exactly in the backpack. 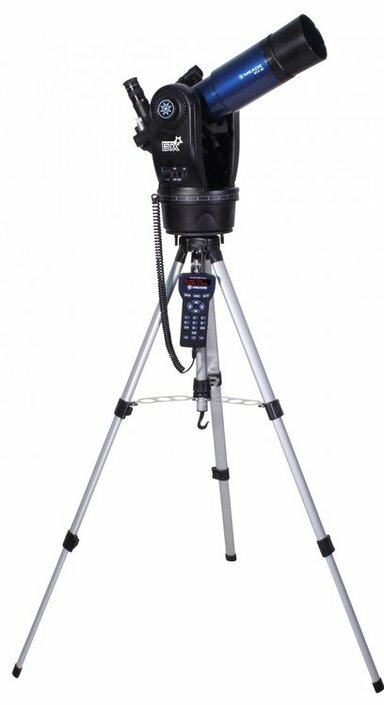 This Meade refractor telescope is an ideal entry-level telescope model for the beginning astronomer. The telescope has a lens diameter of 80 millimetres and a focal length of 400 millimetres. 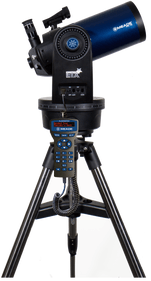 The Audio-Star GoTo-system helps you find the celestial objects in the universe. Besides finding the celestial bodies, the GoTo-system also provides you with relevant information about the objects through the built-in speaker. 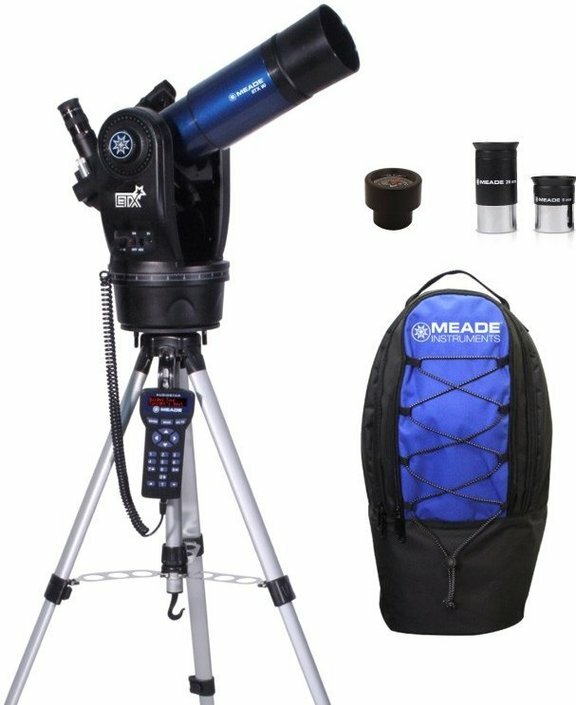 The telescope and accessories fit perfectly into the supplied Meade backpack. 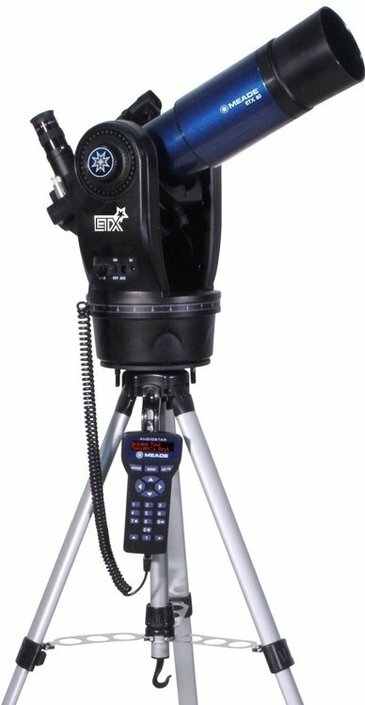 Write a review By sharing your experience with the Meade ETX-80 Observer travel telescope, you can help others (perhaps still doubting customers) with making a good choice.